Dangina Said: Such a precious design. The colors are so sweet and so is the image! 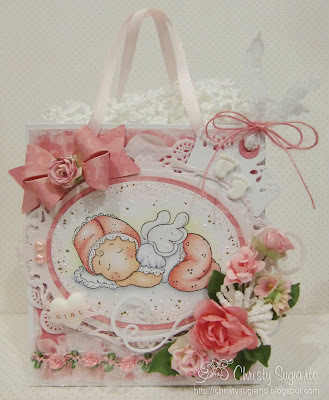 Nikki Said: Gorgeously decorated gift bag. Sweet image, great colours and embellishments. Love it! Dangina Said: Such a beautiful crisp clean design. The image is so adorable all glittered up and her embellishments are gorgeous! Nina Said: Such a pretty tag. 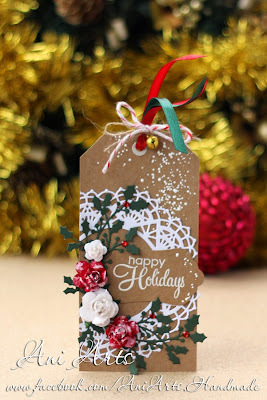 I so love the white onto Kraft card. The result is stunning. Holly Said: OMGosh this little gal is so super cute, love the die cut butterfly and the design is just fabulous. Blankina Said: Love the colouring on this pretty image and all lovely details including the lovely butterfly. 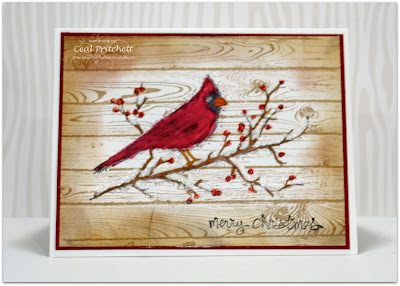 Joni Said: Ceal this cardinal is gorgeous on the beautiful woodgrain background. Marcy Said: This is such a beautiful card! Her love swans are so pretty and the background she created is gorgeous! All of the design Team picks above your names will be entered into our drawing for the end of the year $100 gift voucher! Remember, you get one entry per choice, so if two members picked your card, you will earn 2 entries. Also....Please grab your Design Team Favorite Picks Badge on the right hand side of the page for your blogs....AND as a BONUS...... if you send me your email address... I will send you a coupon code for $5.00 off an order of $25.00 or more from the Loves Rubberstamps store! Thank you everyone who played and all the hard work you put into your projects! We really love seeing them and visiting your blogs! Laura & The Loves Rubberstamps Design Team! Wow, thanks Marcy for choosing my Swans as you DT fav. I'm honoured! Challenge 131 - HOLIDAY BLITZ ANYTHING GOES! Challenge 129 - ANYTHING GOES!